Victory and goal for Sala: Cardiff captain | Daily Express Online, Sabah, Malaysia. 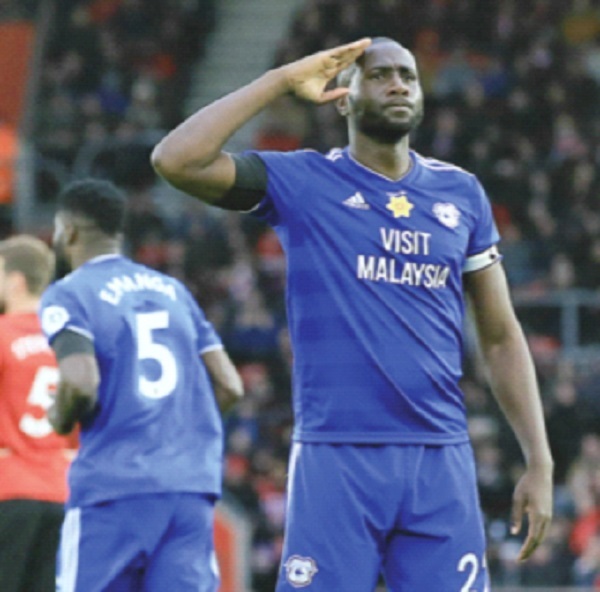 Cardiff City captain Sol Bamba dedicated his goal and a 2-1 victory over Southampton to Emiliano Sala after an emotional match for the Welsh club. Saturday’s fixtures were the first round of Premier League games since the player’s death was confirmed earlier this week. The Argentinian striker’s body was formally identified by an English coroner on Thursday, a day after it was recovered from underwater wreckage in the Channel. “A lot of things were going through my mind. I knew Emiliano. I know he was looking up there. The victory and the goal is for him,” said Bamba. The plane carrying Sala from the French city of Nantes to Cardiff, his new club, disappeared near the British island of Guernsey on January 21. Pilot David Ibbotson remains missing. His family have launched a fundraising campaign to find his remains. Cardiff had been given permission by the Premier League to wear shirts embroidered with a yellow daffodil, the national emblem of Wales and the team colour of Nantes. Before Saturday’s kick-off, a minute’s silence in memory of Sala was impeccably observed at Southampton’s St Mary’s Stadium. Ivorian defender Bamba gave Cardiff a 69th-minute lead only for Southampton to equalise in stoppage time. But Kenneth Zohore scored a 93rd-minute winner that took Cardiff out of the relegation zone. Cardiff manager Neil Warnock was proud of his side’s resilience as he paid his own post-match tribute to Sala. “Emiliano was a fabulous lad, and it’s appropriate we came down with our black armbands on and put in a performance like that,” he said.